Get started with the Movement Experience in a city near you! 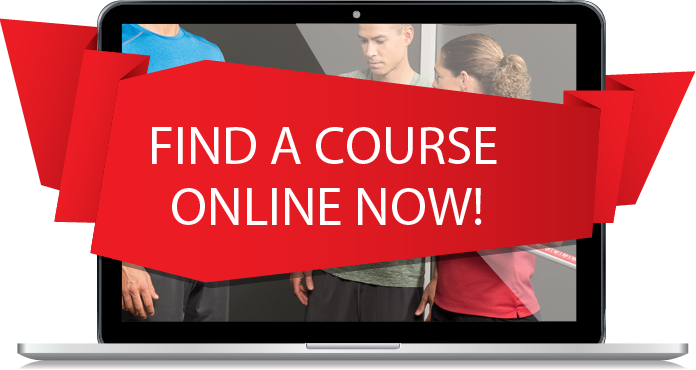 You can take the FMS Level 1 online 24/7! The following table includes information regarding organizations that have approved Functional Movement Screen courses for continuing education credits. FMS Level 1 Live event fees are non-refundable within 14 days of the live event, but live event fees may be applied to a future event within the following year. If cancelled before 14 days, the live event fee is 100% refundable. In the unlikely event the seminar sponsor and/or host must cancel an event in its entirety, registrants may choose to receive a refund of paid event fees or credit toward a future event within the following year. While reasonable efforts will be made to adhere to the advertised package, the seminar sponsor and/or host reserves the right to substitute alternate speakers and/or event content from those listed. Due to the immediate delivery of online education the purchase of online education including the FMS Level 1 Online course is non-refundable. Private courses are intended to educate your staff. There is no outside marketing by Functional Movement Systems or by your organization. Click below to complete a request form and our team will contact you shortly with more details. Thank you for your interest! Analyze case studies that consider the client’s goals, FMS scoring results, program design, and exercise selection. The Functional Movement Screen (FMS) Level 2 Course provides an opportunity to take results from the FMS and apply program design and exercise selection to improve your client’s fundamental movement baseline. The Level 2 seminar will begin with an in-depth look at how to perform the movement screen and apply the scoring criteria correctly for best results. Then we will discuss how to interpret results from the FMS, decide what your training priorities are based on those results, and teach exercise applications and techniques to improve your clients training results. FMS Level 2 live event fees are non-refundable within 14 days of the live event, but live event fees may be applied to a future event within the following year. If cancelled before 14 days, the live event fee is 100% refundable. In the unlikely event the seminar sponsor and/or host must cancel an event in its entirety, registrants may choose to receive a refund of paid event fees or credit toward a future event within the following year. Click here to complete a request form and our team will contact you shortly with more details. Thank you for your interest!